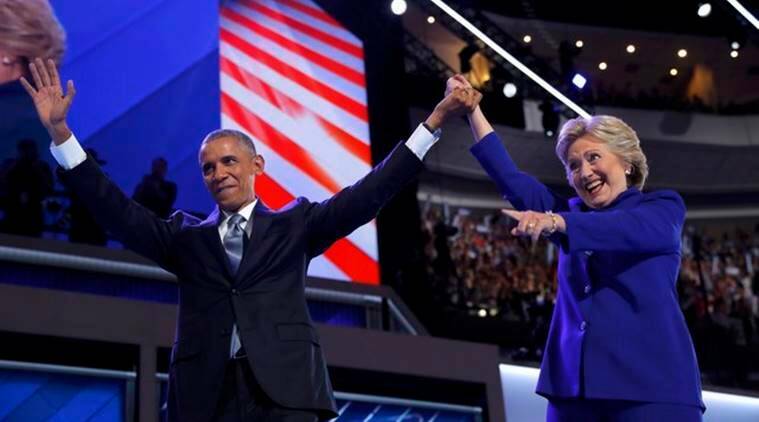 Undeterred by the FBI’s move decision to reopen probe into Hillary Clinton’s use of private email server, outgoing US President Barack Obama made a strong case for the Democratic candidate’s bid for the White house as the election campaign entered its final leg. Campaigning in the battle ground State of Florida, Obama also slammed Donald Trump, the Republican presidential nominee, for his rhetoric and his divisive policies. “We cannot teach our children to treat women as objects. We want to teach our kids to treat everybody as full and equal citizens capable of doing anything. We can’t teach our kids to vilify immigrants, or people with disabilities, or Americans who practice a different faith. “We’ve got to teach them that everybody counts, and everybody matters, and everybody is deserving of respect, and we are stronger together than we could ever be apart,” Obama said. “We shouldn’t let our kids think that politics is about pitching a new hotel, or a new golf course, or a TV contract. It’s about working on behalf of the common good and promoting opportunity and justice. That’s what Hillary believes,” he said amidst applause. “That’s why she has to win this election… She believes, like I believe, that we can summon what’s best in each of us; that we can make this country better for all of us. She believes that, together, we can do big things that we could never do on our own,” he said making a strong argument for Clinton. However, Obama made no reference to the decision of the FBI to re-open the investigation into the use of personal email hosted over a private server when she was his Secretary of State. Obama said he would continue to campaign for Clinton over the next 11 days.